The Financial forms are taking record of any kind of business transaction within a company. Be it a small financial processing or large one, all changes should be kept in an organized for the further use. It is actually a finance statement where any kind of finance related information is recorded, including paying taxes, update of the mortgage loan and property related transaction. Though one can use it as a personal form, but it is mainly made for the official purpose where tracking of financial matter is important for improving a company’s profit level. 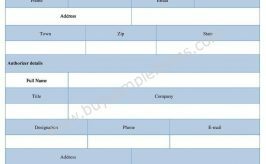 The sample financial forms contain data regarding the type of the form. Generally, it looks after the cash flow of a company. If your company has any kind of financial aid, it should be mentioned in this form. The form asks to describe about the transactions within a certain financial year and it should be signed by the official who check the accuracy of the entered data in the form. Among the many types of the financial forms, some are insurance form, real estate and tax forms. Here an example of this form is given for your help. This form is used for the purpose of gaining financial assistance for certain event, program, seminar etc.